Investing in a rainwater harvesting system and water tanks can be daunting but these tips below will help you budget for a rainwater system, whether you live in the US or South Africa or anywhere else for that matter. 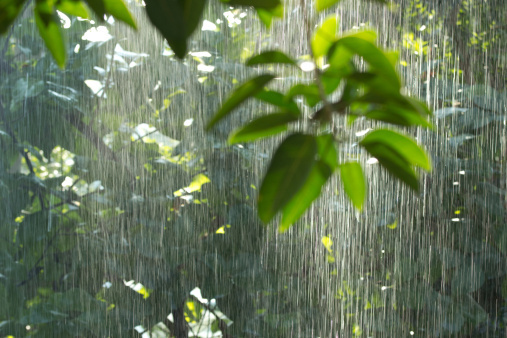 Harvesting rainwater is the wave of the future. Why? Because it’s great for the environment and great for your budget. For example, the rainwater you collect can be used to water your lawn and other landscaped areas. This saves you money in that it reduces the amount of municipally-supplied water you use. It’s also good for the plants because, unlike municipal water, rainwater is clean and hasn’t been treated with chemicals to make it drinkable. Landscaping isn’t the only way to use the rainwater you’ve collected. You can use collected rainwater for washing vehicles; bathing pets; refilling swimming pools, ponds, and fish tanks; cleaning your driveway and sidewalks and the outside of your house. You can, if you install a good filtering system, even use rainwater for washing dishes and drinking. In addition to being usable for all of these things (and greatly reducing your dependency upon your municipal water supply), collecting rainwater eases the burden on your property’s drainage systems (and, eventually, municipal drainage systems). It reduces runoff and erosion. Really, it’s best for everybody! Rigging up your own rainwater collection system really isn’t that hard, but if you’re like most of us, you’d probably rather buy a ready-made and professionally installed system to harvest rainwater – just to make sure you’re set up correctly and safely. The problem is that professional systems cost more than homemade systems, and pretty much everybody is on a really strict budget these days. So how do you find the money in an already tight financial situation? If you need some budget help, here are some tips you can use to create wiggle room so you can afford a quality water harvesting system. You’re literally saving for a rainy day! Instead of buying coffee in the mornings and lunch while you’re at work, take your own from home! Home-brewed coffee and homemade lunches cost way less than what you’d pay in a cafe. Put the money you’d spend out into your rainwater system fund. Taking the bus to work every day gives you time to relax on your way to and from work and costs much less than having to gas up your car every week. Put your gas money into your rainwater system or rain water tank fund! Do you like to shop? Challenge yourself to not buy anything besides food and other absolute necessities like hygiene products. Take the money you’re tempted to spend on movies, dinners out, clothes, etc., and put it into your savings instead. Growing your own veggies and herbs is a great way to reduce what you’d spend at the supermarket and is better for your health in the long run. Once you have your rainwater tanks, you can irrigate the vegetable garden with free water! Name-brand stuff and generic stuff is almost always the exact same stuff. Stop paying for branding and pay for a rainwater harvesting system instead! Turn off the lights, unplug your appliances, and turn off your central air systems when they aren’t in use. Reducing your power bill is a great way to find money for your rainwater system. Go through your home and clear it out. If you haven’t used it in over a year, sell it online and put the profit into your rainwater collection savings. Instead of buying books, paying for streaming media, etc., use the library and the Internet to access (for free!) what you would normally buy. Make no mistake, we’re not advocating piracy. But you can listen to music on YouTube and Pandora for free. There are lots of free books in Amazon’s Kindle store. And, of course, you can use the library to check out things to read, watch, and listen to. 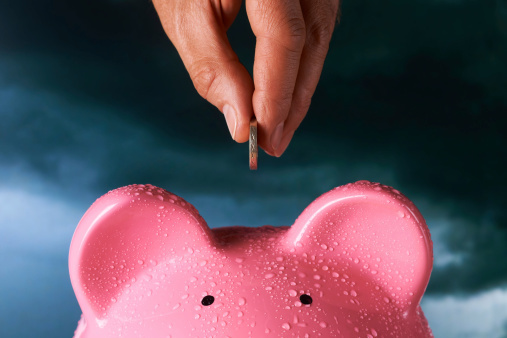 Do you regularly set money aside for a savings account? For a few months, take 5% of that deposit and set it aside for your rainwater collection system (keep track of what you save so you can pay it back later). In addition to moving money around in your budget, why not simply try to earn more money to help fund your purchase? Doing small odd jobs around your neighborhood and for your friends for a small fee can be a great way to beef up your rainwater collection and water tank fund. If you use all of these tips, you should be able to have your rainwater system, with water tanks, purchased and installed fairly quickly. Good luck! Source: Erin Steiner (Erin Steiner is from the U.S and writes about personal finance, pop culture, and other topics for a variety of websites). If you are in South Africa, click on the links below to view the wide range of JoJo water tanks suitable for rainwater harvesting and other uses.